Make Miscellaneous Payment Now ! The CNMSBL lost a former member and friend to many George Kinser last night. Most will remember George playing for the 45 and 54 Riverbandits frm 2006 to 2014. George was a solid player who loved the game and had a great sense of humor. Visitation will be held Sunday 11-2 with Services from 2 to 3 at Donnellen Funeral Home, 10045 Skokie Blvd, Skokie. 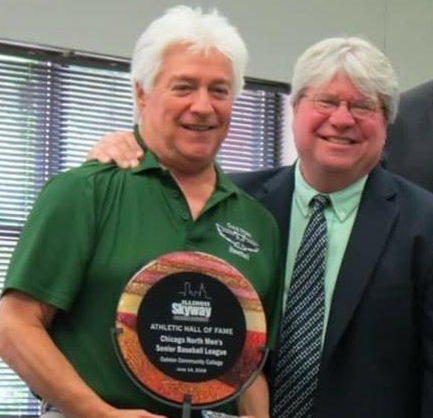 More bad news, long time league members Dennis Weiner and Terry Weiner lost their sister earlier this week. Our prayers and condolences go out to the Weiner family. The Schedules for the 24s, 34s, 44s, 53s, 61s, 65 Weekday and the 65s Sunday Morning Divisions are now complete and posted on Scorebook.Com. The Tryouts for the 53s and 61s time and location tba. If you missed the tryouts on the 9th, you are welcome to register and attend , there will be supplimental placements for the 24s, 34s & 44s. Take advantage of this second opportunity. October 26, 2018, Mesa, AZ…In a tough spot, Chicago Grays pitcher Paul Ociepka knew what he needed to do to secure a victory – and a championship – for his team. With Chicago leading by one run, the San Diego Aztecs had the bases loaded with two outs in the bottom of the ninth inning. Jeffery Aguirre came to the plate to face Ociepka, looking to complete a comeback victory for San Diego. Ociepka wasn’t going to let that happen. “I’ve just got to man up, and that’s what I did,” Ociepka said. Ociepka got Aguirre to ground into a fielder’s choice to third base, securing a 7-6 win and the 65+ Cactus Division championship. Malisia’s play sealed a complete-game victory for Ociepka, who found his rhythm on the mound during the middle innings. While Chicago took a 6-4 lead after three innings, Ociepka didn’t allow a run in the fourth, fifth, sixth and seventh. That included a 1-2-3 sixth. “He was unbelievable,” Gray’s manager Steve Faigin said of Ociepka. He retired the first two San Diego batters in the ninth before the Aztecs started to rally. San Diego scored a run to cut Chicago’s lead to one run before Ociepka escaped the bases-loaded jam to end it. Chicago swung the bats well early to build a lead for Ociepka. The Grays scored two runs in the first. Leadoff hitter Ken Seelie scored on a wild pitch after drawing a walk and stealing a pair of bases then Joe Kutis later added an RBI single. However, the Aztecs answered back in the bottom of the first scoring three runs, including an RBI groundout by Henry Rimoldi. Chicago took back its lead with a four-run second. Seelie hit a two-run double, Dan Doleshal drove in a run with a ground out and Dave Pickering knocked an RBI double.“We held it together,” Faigin said. Pickering went 2-for-3 and reached base three times for Chicago. Seelie and Ricky Martin each scored a pair of runs. The Grays, who were the No. 7 seed in their division for the World Series, got off to a slow start in the tournament, losing two of their first four games. However, they ended the week with five consecutive victories, including beating the Aztecs in the championship game. In order to win the title, Chicago had to sweepdoubleheaders on its final two days, which they did. “It was exciting, thrilling to the last pitch,” Faigin said. “It was unbelievable. These guys are the greatest bunch of guys I’ve ever played with.” For Ociepka, who said he won his first MSBL World Series championship in 1993, it was also memorable. “This is very, very special,” Ociepka said. 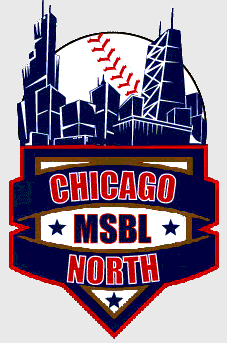 The CNMSBL will be introducing it's weekday afternoon "Classic" Division this season. 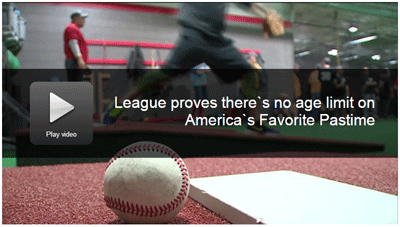 They will be playing on Tuesdays and Thursday with a two team division supplemental games on Sundays. Dear senior baseball players, the 65 + Classic Division is primed and ready for 2019. To start with,we will have 4 teams , playing one game a week either on Tuesday or Thursday afternoon at 3:00 PM. We will also have a two seperate teams playing on limited Sunday mornings. All players that are unprotected from the 61 division will be placed on a week day 65 Classic team. Please register and pay a $75 deposit. If you want to play on Sunday also, please deposit $150. If you are protected, did not play in CNMSBL in 2018, or cannot play because of work; and you desire to play on Sunday only. please contact Bob Friedman at rfriedman@bensman.com. * Relaxed, recreational rules for the Senior Player. * Week day games will likely be at Bensenville. * Younger players may be eligible on a case by case basis. * Week day league is for 15 games, includes a team hat and shirt, $265. * Sunday league 8 games , will cost $100. Fees for the 53s and 61s are $440.00 per player. Click here to see photos of the Oakton Renovations! Congratulations to the CNMSBL and it's membership on the Leagues induction into "The Skyway Conference" sports Hall Of Fame for it's support and partnership with Oakton Community College Academics, Sports & Baseball for the past 25 years ! Oakton Owls defeat 4 Time Champion Tyler (Tx) 14 to 11 in a 13 inning marathon today to become National Champions !!!! Congratulations to Head Coach Fratto and his staff as well as the entire Oakton squad. 2019 Award Winners will receive their award at this years banquet Jan 27th at the Tinley Park Convention Center, tickets are available contact Max Reising for more information. 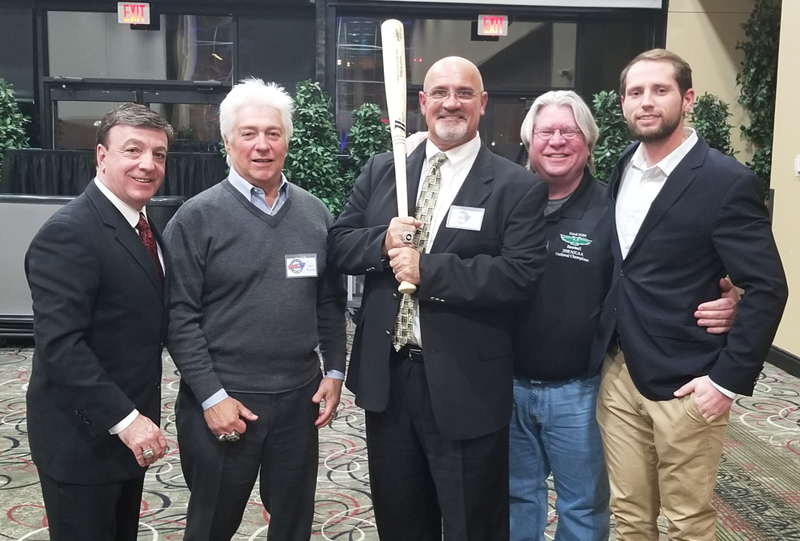 From left to right: Mike Pinto founder of the cnmsbl, GM and manager of the Frontier league Mariom Minors and former head coach at Oakton. Max Reising Oakton Coach, Bill Fratto Head Coach, Bruce Oates A.D. Oakton and Ryan Tuntland current coach at Oakton, former player there and at West Virginia and former minor league player for the S.F Giants 3 seasons. The 2019 Season marks our 32nd year of providing the best adult baseball league experience in the Midwest . 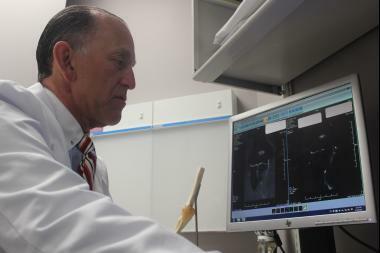 Dr. Preston Wolin serves as the director of sports medicine at Weiss and a pitching coach at Ida Crown.